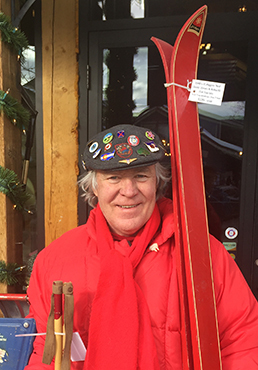 Richard Allen began collecting skis and other gear in the late 1980s, including a pair of handmade Norwegian wooden skis that his grandfather used in the early 1900s. Richard's passion for skiing is homegrown: His father Ken was a “ski bum” as a young man and followed the snow as he looked for work. He enjoyed skiing the early years of Alta, Sun Valley and all over Colorado. Richard also comes from many generations of skiers from Norway. Richard began skiing as a small child. He visited Aspen for the first time in 1959 and moved there in 1975. While running his Alpine Cleaning business, he pursued his ski-collecting hobby, filling four storage lockers in Carbondale with ski memorabilia. Since the mid-90s Richard has been providing ski areas with fun services, including ski-themed parties, vintage ski races, ski fashion shows, all forms of ski decor for events and old-time ski photos. Since 1996, his van has been used as a traveling ski museum, and still is today. By 2002 it was clear that Richard need to turn his hobby into a business and start getting paid, so he could cover the cost of storing and collecting vintage ski memorabilia. Thus Vintage Ski World, LLC was born. Additionally, he began offering posters, photos, DVDs and all of his ski equipment for sale through his online store, www.vintageskiworld.com. Vintage Ski World, LLC, has from the early 1990s gradually acquired one of the largest private collections of antique ski equipment, clothing, posters, books and memorabilia in the world. "Skiing has been a huge part of my life since I can remember, and running a ski-related business as unique as Vintage Ski World is a dream come true,” he says. “I love my job!" Skip has the sport of skiing in his DNA. Beginning with his first ski lesson in Zermatt, Switzerland at the age of four, and growing up in a family of skiers, Skip started skiing weekends at Stratton when it first opened in 1961. In Vermont, his family purchased the first condo at Smugglers Notch (in the 1960s, known as Madonna Mountain). He raced for the Madonna Cats alongside a couple of the Cochran sisters. In 1968, two things changed Skip’s life: he discovered the new sport of freestyle skiing, and he discovered ski retailing. When he was a high school freshman, he begged Jimmy Ross for a job at Hickory & Tweed ski shop in Armonk, NY, and began by sweeping the shop floors. Throughout his high school years, he worked his way up to the sales floor. He also quit ski racing, and started flipping and skiing the bumps. He competed in the first freestyle contest at Waterville Valley, N.H. His bunkmate at Paul Pfosi’s Lodge was a young college student from Vancouver, B.C. named Wayne Wong. In 1972 Skip entered the University of Vermont. He continued working at Hickory & Tweed during the holidays and summers. And he continued his freestyle pursuits on the Chevrolet Professional Freestyle Tour. After the University of Vermont, Skip returned to Hickory & Tweed, working full-time during the fall/winter seasons. In 1977 at Ocean City, N.J., he built Wonder Wave, the first skateboard park in the Northeast. In 1978 Skip entered The Harvard Business School. After graduating in 1980, he went to work in account management at the Young & Rubicam advertising agency in New York City. In 1986, Skip purchased Hickory & Tweed from Jimmy Ross, who had started the shop in 1961. Hickory & Tweed remains a unique and different shopping experience, albeit now with a thriving bike business added to the mix. Skip’s wife, Michaela, has been the lead soft goods buyer for over two decades. His oldest son, Mac, recently left his career at the same Young & Rubicam advertising agency, to start Hickory & Tweed’s online shopping presence and plans to launch the store’s own brand. Jeff Blumenfeld, a public relations professional and principal at Blumenfeld and Associates PR, based in Boulder, has dedicated his career to wintersport promotion, starting in the late 1960s when at the tender age of 16 when he drove a team of sled dogs down New York City’s Central Park South as a promotional stunt for Holiday Mountain in Monticello, NY. After graduating from the S.I. Newhouse School of Public Communications at Syracuse University in the mid 1970s, Jeff, a lifelong skier, worked at Burson-Marsteller Public Relations and Dorf/MJH Public Relations in New York City. 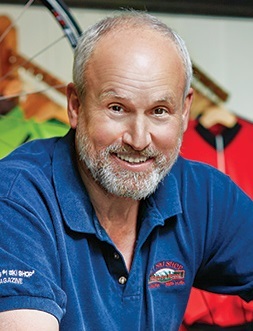 In 1980, he founded his own public relations agency; first project was representing Spalding skis and Caber boots during the 1980 Olympic Winter Games in Lake Placid, NY. Soon after, Blumenfeld began a seven-year association with Ski The Summit, a marketing consortium that included Breckenridge, Keystone, Copper Mountain, and Arapahoe Basin in Colorado. 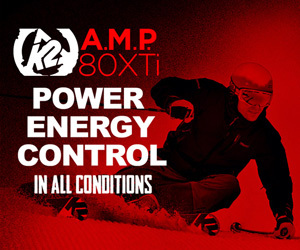 Other wintersports clients served: Bromley, Cranmore, CW-X Performance Apparel, Du Pont, Fischer Skis, Head Skis, Jackson Ski Touring Center, Jiminy Peak, Killington, Kneissl, LEKI, Michelin Technical Soles, New York Ski Show, Ski The Rockies, and Trak, among others. He is recipient of the North American Snowsports Journalists Association’s 2017 Bob Gillen Memorial Award for achievements in snowsports public relations and communication. 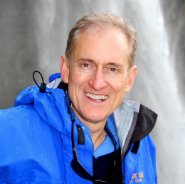 Blumenfeld has covered cold weather expeditions since 1994 in his monthly newsletter, Expedition News (expeditionnews.com), which is excerpted quarterly in The Explorers Club Journal. He is a Fellow of both The Explorers Club and Royal Geographical Society. His book, Get Sponsored: A Funding Guide for Explorers, Adventurers and Would-Be World Travelers (Skyhorse) chronicles a number of ski expeditions to the North and South Poles. Blumenfeld, a board member of Voices of Sept. 11, a leading victim’s advocacy non-profit, resides in Boulder with his wife Joan, a descendant of a WWII 10th Mountain Division solider. His two adult daughters live nearby. Since 1972, he has kept a ski log of every day spent on the slopes and has tallied over 900 days on snow. He says he’d like to ski his age, but work gets in the way. Since 2006 Mike has been president of the Metropolitan New York Ski Council, an umbrella organization of 45 ski clubs with more than 20,000 members. Mike is active with the National Ski Federation, serving on the membership services committee where he solicits discounts for members on travel, lodging, and recreational activities. He was instrumental in the New York Council joining National Ski Areas Association, SnowSports Industries of America and United States Ski and Snowboard Hall of Fame. Mike is currently the sales ambassador for Mt. Snow in Vermont, and has served in the same capacity for Okemo. These positions brought him into close contact with local ski shops and ski clubs. Mike is also an avid collector of old ski books and everything ski. An avid skier for many years, Mike is a member of ISHA, Friends of Tuckerman Ravine, the New England Ski Museum and the 10th Mountain Division National Association. Mike has been in the construction business for over thirty years and is currently the project manager for Restani Construction in Queens, N.Y. The company builds roads, bridges and tunnels. Between ski trips he lives on Long Island with his wife Jennifer. “I believe that ISHA is important because it keeps the origins of the sport alive,” Mike said. 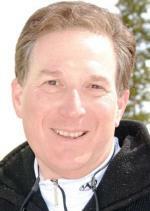 Art Currier is CEO of Currier & Associates, a leading professional interior design services firm in Newburyport, Mass. 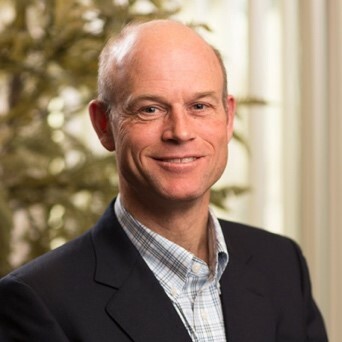 He is a founding director of the Newburyport CleanTech Center and a founding trustee of the Vail Leadership Institute (VLI) in Vail, CO and a founder of the Greater Newburyport Eco Collaborative. Art was a founding trustee of the Carrabassett Valley Academy in Kingfield, Maine, a founding director of the Newburyport Cultural Exchange Committee and the Triton School-to-Career Partnership and a past president and active director of the Newburyport Education/Business Coalition. Art's many years of experience have included management positions with Ford Motor Company, Nashua Corp., Salomon/North America, Puma USA, and Norfell. He was actively involved in the wintersports trade association, SnowSports Industries America. 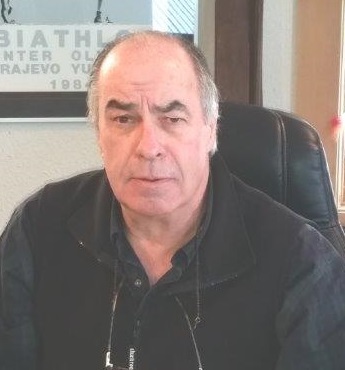 He served as the executive director of the official film of the 1982 Nordic Skiing World Championship and the 1992 Winter Olympics for Jalbert Productions. Art holds a BS in Engineering Management from Norwich University and an MBA from Cornell. Chris’s first job in the ski industry was during college as a bartender at Killington. Then he moved on to become Killington’s marketing director followed by a tour in Vietnam with the US Army. Back stateside Chris thought he could put his master’s in English to use somewhere other than the ski industry, but was offered a job he could not refuse: working for Preston Smith, the president of Killington. He stayed until 1977 when he became general manager of Mount Snow, Vermont. In 1999 he became managing director of Steamboat. While at Steamboat Chris was very much involved in establishing an urban renewal authority at the base of the ski area. The authority funded many improvements at the base area, requiring close relationships with the property owners and the city of Steamboat Springs. Chris retired as president in 2015. He continues to be very active in the community, having served on the board of the Yampa Valley Community Foundation, the Urban Renewal Authority Advisory Committee, the Yampa Valley Airport Advisory Commission, the Chamber Resort Association and Colorado Ski Country USA. Chris is past chairman of the National Ski Areas Association (NSAA). 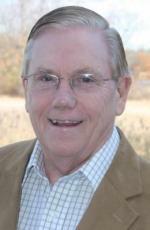 In 2013 He was presented with NSAA’s Lifetime Achievement Award. Born in 1930 in Zürich, Luzi lived in Paris and Toulouse as a young boy. In 1940 his family returned to Switzerland, and he earned a master’s degree in mechanical engineering at the Swiss Institute of Technology in Zürich. After a first job at Swissair, he joined Nestlé, where he headed a team responsible for the design and construction of about 60 new factories in 50 countries. Like his entire family, he enjoys skiing, and one of his hobbies is ski and ski lift history. He has a collection of more than 170 pairs of skis with documentation, dating from before 1900. 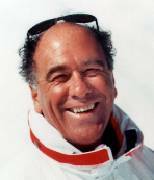 Luzi has written many articles on skiing history, including “Ernst Constam and his Marvelous Uphill Device” (together with Morten Lund), “Swiss Made” (A Glance at Switzerland’s Skiing History), “The Hotel Palace in Gstaad,” and “The Parsenn Derby,” all published in Skiing History magazine. Now 84, Luzi lives in Corseaux, on the Swiss side of Lake Geneva, and loves to ski with his three grandchildren. Mike worked for Bob Beattie as director of World Pro Skiing from 1977 to 1981, and as a commentator for ESPN. 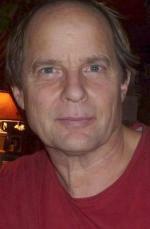 He is a journalist by education, graduating from the University of Colorado in 1974. He is currently chairman of the Bob Beattie Foundation, formerly known as the World Pro Skiing Foundation. Since 1981 Mike has been CEO of his family’s firm, REM Eyewear. He is a trustee on the board of the Vision Council, and chairs the annual Executive Summit Forum for the industry's top executives. He lives in Aspen. Dave began his career as a ski instructor and ski-resort manager, but joined the member-owned trade association Ski Industries America (SIA) in 1976 and assumed its presidency in 1981. He supervised a short, tumultuous marriage between SIA and NSAA, and was more successful keeping the fast-growing snowboard business within the organization – a transformation that changed the name to Snowsports Industries America. David retired from SIA in 2016 and now serves on the boards of both ISHA and the U.S. Ski and Snowboard Hall of Fame and Museum. He was inducted into the Hall of Fame in 2016. Wini grew up in Calgary, Alberta, and began skiing at three. She raced and became a certified ski instructor. Skiing became her career. Deciding at 16 that she wanted to be a skiwear designer, she took degrees in textile science and French at the University of Montana, then attended Hetzendorf Modeschule in Vienna, Austria. She taught skiing -- in French and German -- at Zermatt, Switzerland and Innsbruck, Austria, and spent a summer teaching swimming in Lausanne Switzerland. 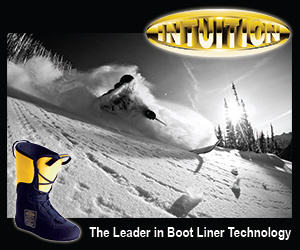 Wini spent 30 years at Roffe Skiwear in Seattle, as vice president for design and marketing. The factory produced 10,000 garments a month, and sold through 1,000 retailers across the United States. Wini established Roffe licensees in Canada, Australia and Japan. Wini won numerous national design awards and was inducted into the Council of Fashion Designers of America (CFDA) --and was honoted as Ski Magazine's Woman of the Year. After retiring in 1996, Wini ran the judging of a worldwide design contest for Malden Mills, maker of Polartec fabrics. She has been involved in many local organizations on Bainbridge Island, Wash., where she makes her home, and was named Kiwanis Citizen of the Year in 2007. 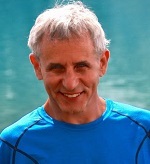 Seth began skiing during a climbing trip to Chamonix in the summer of 1968, while attending the University of Chicago. He joined the staff of SKI Magazine in 1974, and served as editor of SKI Business, managing editor of Cross Country Ski Magazine, and senior editor/technical editor of SKI Magazine. The work took him around the world to ski, and everywhere he went he saw glaciers melting. So he began writing about climate change in 1990, and in 2007 earned a master’s degree in environmental journalism at the University of Colorado/Boulder. That year he joined the American Solar Energy Society as an editor of the magazine SOLAR TODAY; he later served as executive director of ASES. In 1993, Seth joined K2 Corp. as product manager for alpine skis, but returned to SKI a year later as general manager/online products, and launched the magazine’s award-winning website, skinet.com. He was recruited as a website producer by Microsoft Corp., then worked at Intrawest as director of internet strategy. Seth has managed ISHA’s website since shortly after it was launched by Mort Lund. 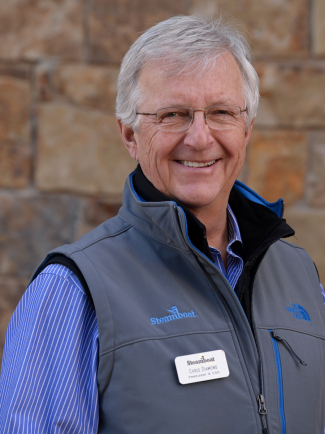 Seth has taught skiing since 1984, at Squaw Valley, Vail and Snowmass, and has served on the board of directors of the Colorado Ski Museum. He is the author of half a dozen books on mountain sports, and has won several awards for writing and website innovations. He has written for Backpacker, Outside, The New York Times and dozens of other publications. 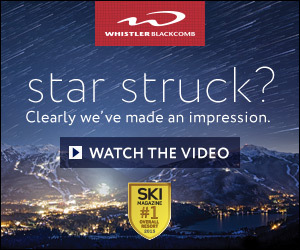 He has long been a frequent contributor to Skiing History magazine. Chan has built a career in Northern New England managing businesses in a variety of industries including new and traditional media, manufacturing, energy and branded consumer products. 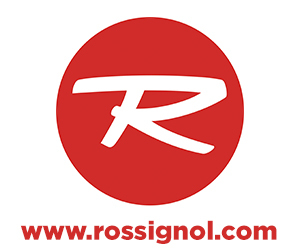 Most recently he served as the CFO of Senet, Inc., a venture backed Internet of Things (IoT) wireless network platform, and previously he worked in a number of private equity backed businesses in CEO and CFO positions including NSA Industries, a leading machining and fabricating contract manufacturer in Northern New England, and Global Decisions Group LLC, a New York City-based investment of the buyout firm Clayton Dubilier & Rice. Prior to that Chan was the Director of Finance of The News Corporation, responsible for financial oversight and leading strategic initiatives for the company’s satellite television, broadcasting and internet media businesses. He received his BA in History from Dartmouth College and MBA from NYU’s Stern School of Business. Chan was captain of the Dartmouth Ski Team in 1986, an NCAA All-American and member of the 1985 US World University FISU Team. He grew up in the Stratton Mountain Ski School where his mother worked under Emo Heinrich. He was the only child other than Emo’s own daughters to be given a cherished ski school sweater. Chan graduated from the Stratton Mountain School in 1982 and was among the top US junior skiers in the country, choosing to go straight into the college ranks. He served as a trustee for Stratton Mountain School for 20 years; served briefly on the Board of Sugar Bowl Academy in its early years and has two sons attending Burke Mountain Academy today. Later in life Chan joined Dartmouth teammate Paul Hochman on the Ski Magazine Test Team where both found their future wives. And for the past 12 years he and his wife, Edith Thys Morgan, have remained active in the sport coaching regional USSA junior projects and the local Hanover, New Hampshire program, Ford Sayre Ski Club at the Dartmouth Skiway. Rick studied mass communication at the University of Denver, then became an independent filmmaker. While attending the University of Hawaii’s East West Center in the 1960s, he made the surf movies Freeform and Oceans. Returning to Vermont in 1973, with his wife Melinda and year-old son, he joint Vermont Public Television. The couple produced Legends of American Skiing in 1983, and Rick has specialized in ski history projects since then. He did yearly films for SKI and Skiing magazines, for snowsports manufacturers, for many ski resorts and for most of the national skiing nonprofits, including several for the U.S. National Ski and Snowboard Hall of Fame, the National Ski Patrol, and the New England Ski Museum. He made the Vermont Memories series, Northern Railroads and the George Aiken Story for Vermont Public Teleivsion; Change Challenge for the Orton Foundation; and Through the Years for SE Group, a consulting firm in Burlington, Vt. His Web Exhibit Making A Legend: Lowell Thomas & Lawrence of Arabia - Creating History has won several awards and currently posts over 100,000 hits per month. In 2012 he helped to produce Passion for Snow, a documentary about the role Dartmouth College has played in the evolution of North American skiing. He’s now working on a documentary about Lowell Thomas and broadcast journalism in the 20th century. Rick is chair of the ISHA awards committee, which annually recognizes the creators of the very best of skiing history in print and video. 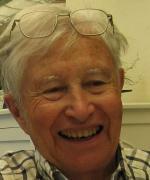 Wilbur started working in the ski business in the summer of 1967, while in college at the University of Vermont. He was on a crew rebuilding Woody’s Cracker Barrel in Rawsonville, Vt., after the original shop had burned, then worked ther part time there during college, learning about ski retailing. He also worked for Sabe Abell in Burlington and in the Sugarbush Valley for Ned Hamilton and others. After graduating, he ran the Bromley Shop for two years and then was hired as one of the original 12 employees at Salomon North America, along with Art Currier. The oil embargo caused another change in career. He returned to Bromley and started the Bromley Catalog in 1976. Bromley was purchased by Stratton in 1979 and the Catalog sold to Chris Craft in 1981. Wilbur was moved to Stratton and eventually became VP of Commercial Operations. When Stratton was sold to the Japanese Victoria Group in 1989, Wilbur launched his retail business, Equipe Sport and Mountain Riders. He has four ski/snowboard and sports stores at Stratton and Mount Snow plus a new country store/deli/gas station. A well known music producer, music industry attorney and Chairman Emeritus of the music community’s foremost social outreach charity, WHYhunger, Charlie Sanders joined the ISHA board nearly a decade ago following publication of his history of the US 10th Mountain Division entitled “The Boys of Winter” (UP Colorado 2004). That book was honored in 2005 with an Ullr Award by ISHA, and with the Bill Berry Sports Journalism Award by the Western Ski Association. 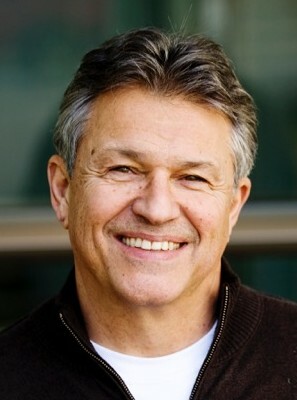 He has also contributed to publications that include “Passion for Skiing,” (the history of skiing at Dartmouth that was honored by an Ullr Award in 2011), and recently received an Emmy Award (2014) for his production of an early grades animation project illustrating the importance of protecting and encouraging artistic expression. An avid international skier, Charlie is closing in on his goals of skiing on 150 mountains across all seven continents by the end of 2015. He is also currently completing a book tracing ski escapes of political dissidents from the Third Reich, in which he will recount the history of the “lost” Euro-Judaic mountaineering world of the pre-WWII era. For many years Bob has been actively involved with ISHA having written a number of articles for Skiing History magazine including a lengthy article on Jay Peak in the August 2014 issue that is part of a book he is writing on the ski area. Montreal is Bob’s lifelong home where he studied Arts and Science at Sir George Williams University, followed by Engineering at Concordia U., also in Montreal. In 1963 he achieved certification with the American Ski Teachers Association of Natur Teknik (ASTAN) followed by teaching skiing for six years at Jay Peak. 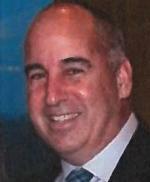 For forty years Bob was involved in management and design consulting for the engineering business. He has been project manager for multiple large paper companies, and has worked with Petro Canada and the TransCanada Pipeline. Though English is his mother tongue, he is quite fluent in French, and he hopes to use both in promoting ISHA membership and visibility in Canada. An attorney in Palo Alto, Calif., Einar has amassed an impressive library of skiing memorabilia, and contributed articles to Skiing History magazine. 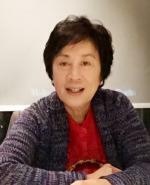 Betty Tung earned a BS in chemistry in 1966 at Berkeley, and a master’s in physical chemistry the following year at the University of Southern California. She worked at NCR Corp and Northrup. In 1978 she founded the skiwear firm Fera International, leveraging her father’s expertise as the leading manufacturer of skiwear in Hong Kong. From 1985 to 1995, Betty served on the Snowsports Industries America (SIA) board, and on the SIA investment committee from 1999 to 2005. She remains president of Fera and chair of Wong Capital Investment. 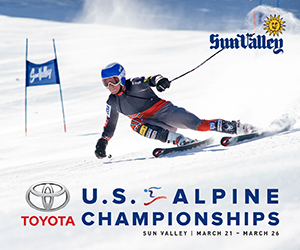 International alpine ski racing is an important, defining element of skiing history. ISHA is pleased to have six athletes with an incredible record of racing accomplishments as members of ISHA’s Presidential Circle. These six individuals support ISHA and its mission to preserve skiing history and increase awareness of the sport’s heritage. 1967 picture of Jean-Claude Killy and Nancy Greene holding their World Cup trophies, the first ever presented. Kathleen James, former editor of Vermont Magazine, was a senior editor at the award-winning Snow Country Magazine. 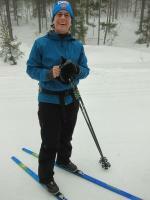 She has been editor of Skiing History since January 2010 and operations director of ISHA since January 2015. She was named executive director in January 2018. A recent and passionate convert to classical nordic skiing, she lives in Manchester Center, Vermont. 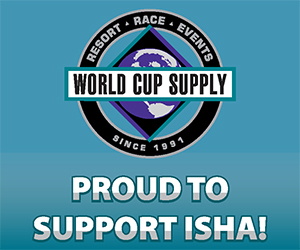 The ISHA Editorial Board works closely with the SKIING HISTORY editor to ensure that articles meet high standards for accuracy and editorial quality. Members of this important peer review group are: John Allen, John Caldwell, Jeremy Davis, John Fry, Paul Hooge, Patrick Lang, Jeff Leich, Seth Masia, Doug Pfeiffer, Bob Soden and Ingrid Wicken. Seth Masia, now serving as president of ISHA, was technical editor of SKI Magazine from 1974 to 1994, and launched SkiNet in 1995. He has worked as product manager at K2 Corp. and was a website producer at Microsoft Corp. He teaches skiing at Vail. He retired in 2014 as executive director of the American Solar Energy Society and editor of its magazine Solar Today. ISHA’s volunteer board of directors has included a few individuals whose substantial contributions over the years has resulted in being awarded Emeritus status. Current directors emeritus are John Fry, Peter Lunn (deceased), Glenn Parkinson and Doug Pfeiffer. Along with ISHA Directors Emeritus and the Presidential Circle, Legacy Partner is an honor reserved for individuals whose breadth and depth of commitment to and involvement with ISHA is outstanding. Legacy Partners are Gretchen Besser, PhD; Dr. Donn R. Mosser (deceased), and Gene Rose (deceased).